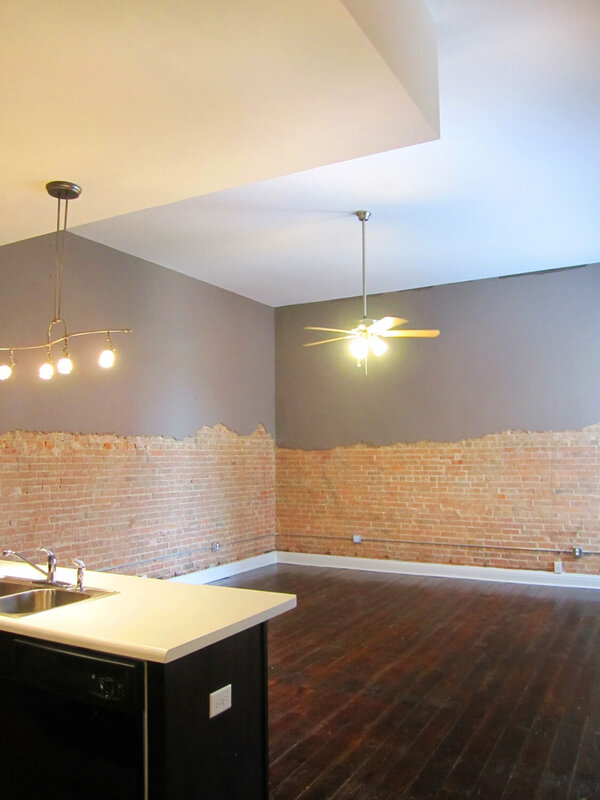 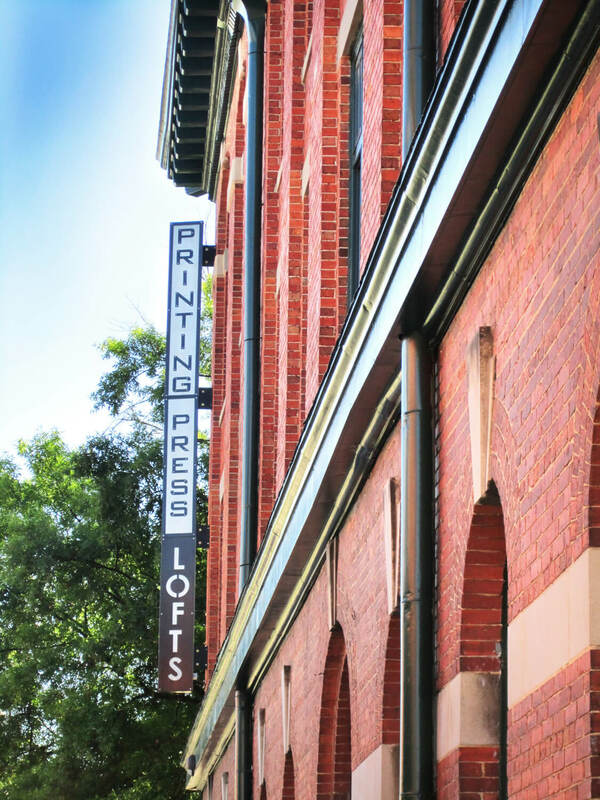 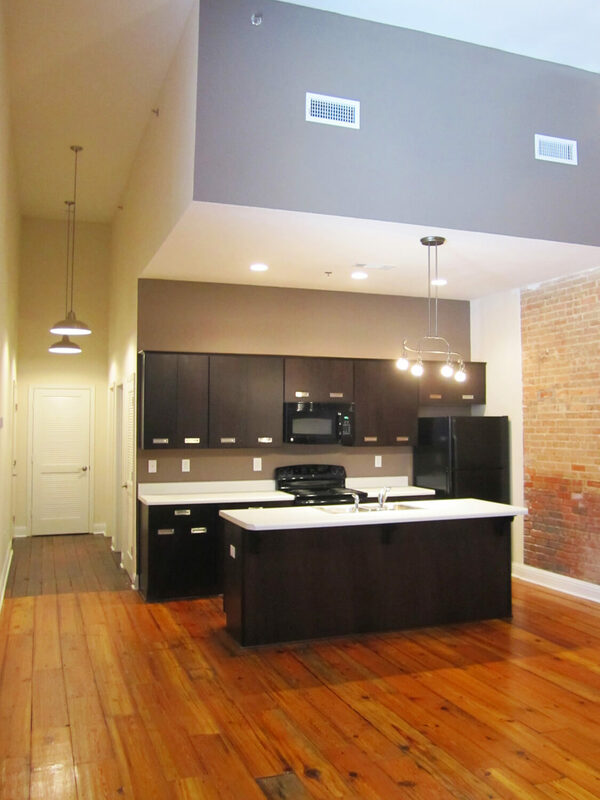 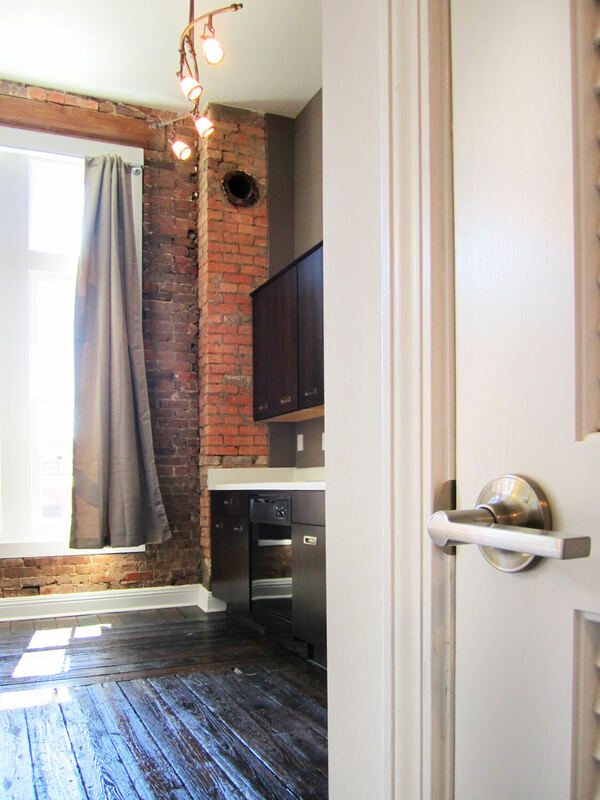 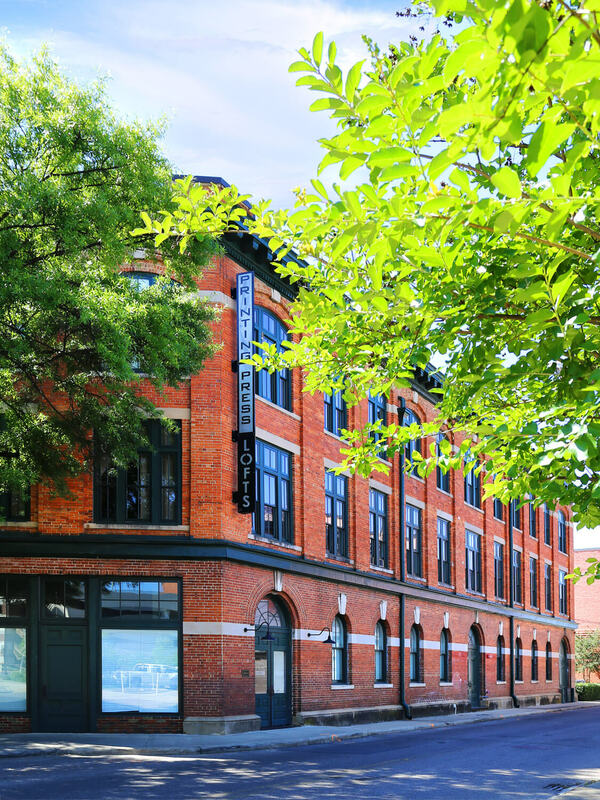 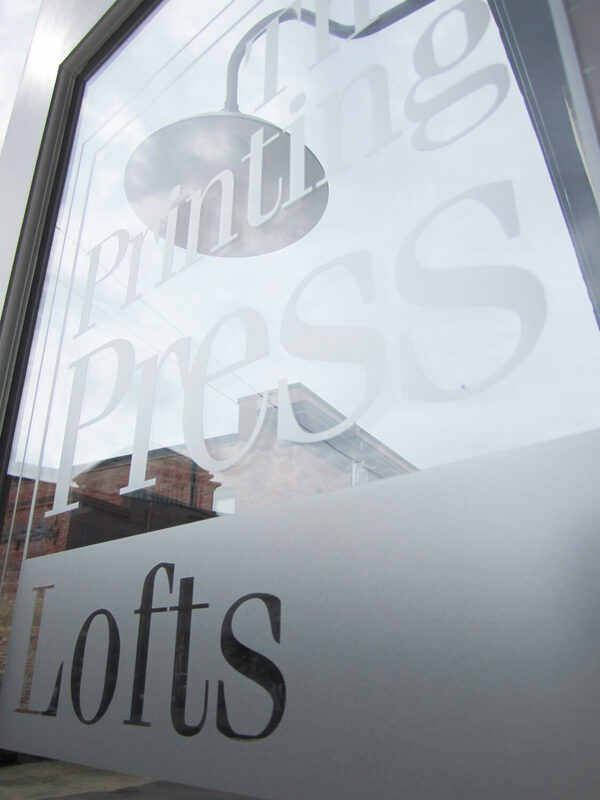 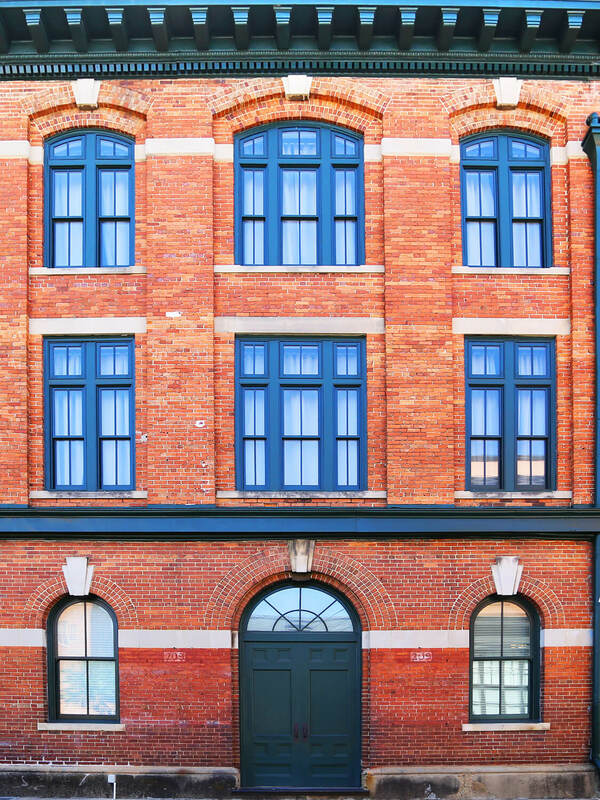 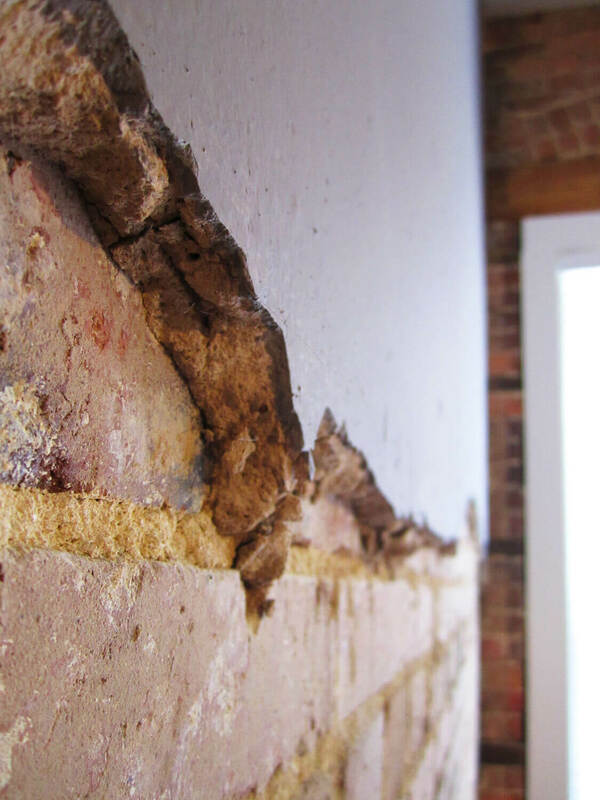 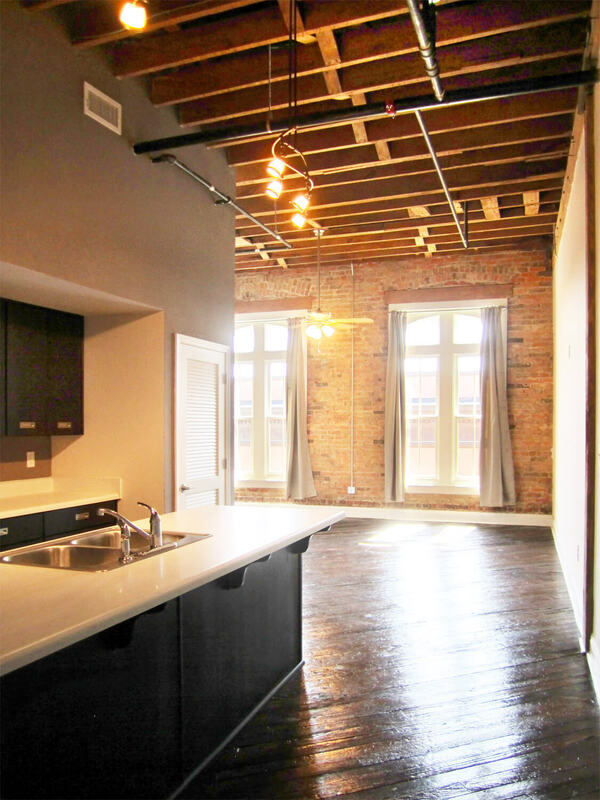 The Printing Press Lofts project converted a three story, historic brick and heavy timber warehouse in Downtown Montgomery, Alabama, into twenty-one loft style apartments. 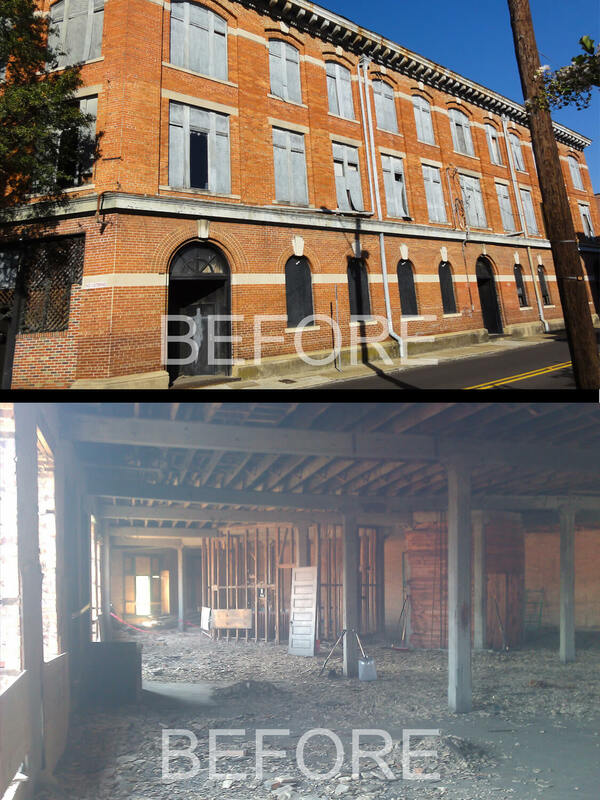 After remaining vacant for many years and becoming severely deteriorated, an individual purchased and renovated the building, using private equity. 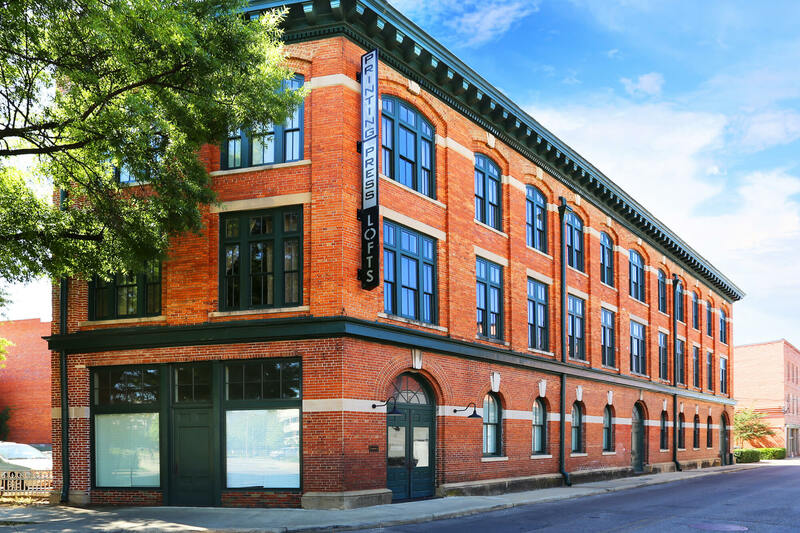 Also, this individual developer placed the project into a municipal Redevelopment Authority, allowing abatement of Sales Tax on material purchases. 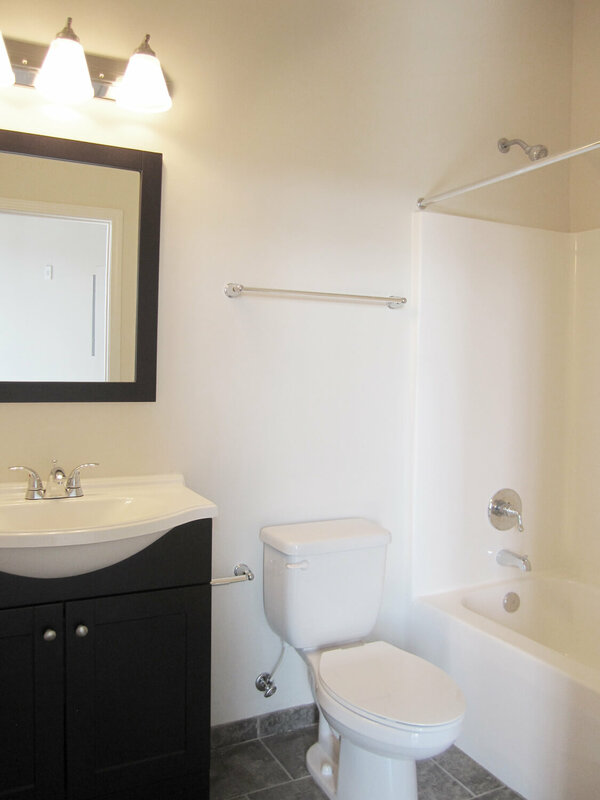 As a result, this saved approximately $60,000 on the overall construction cost. 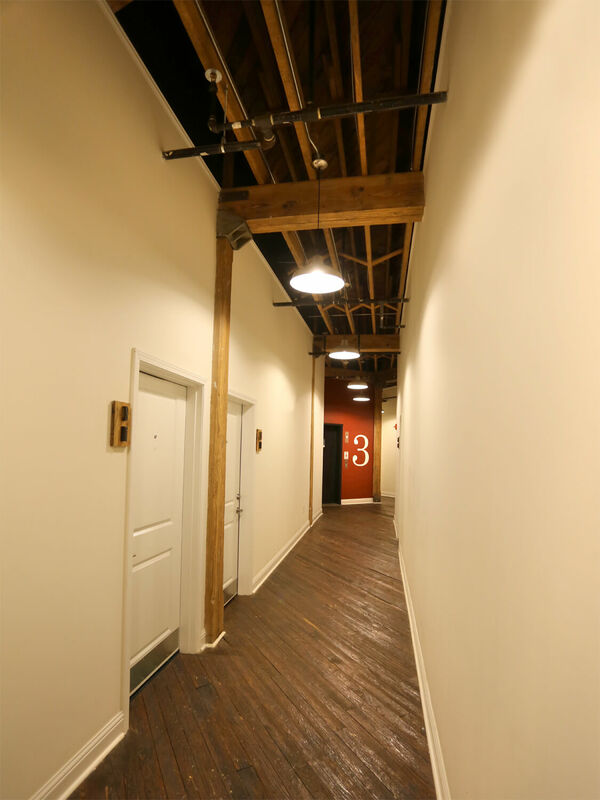 In addition, creative architecture and design allowed the reuse of many of the building components, which contributed to significant savings, in order to meet the project budget. 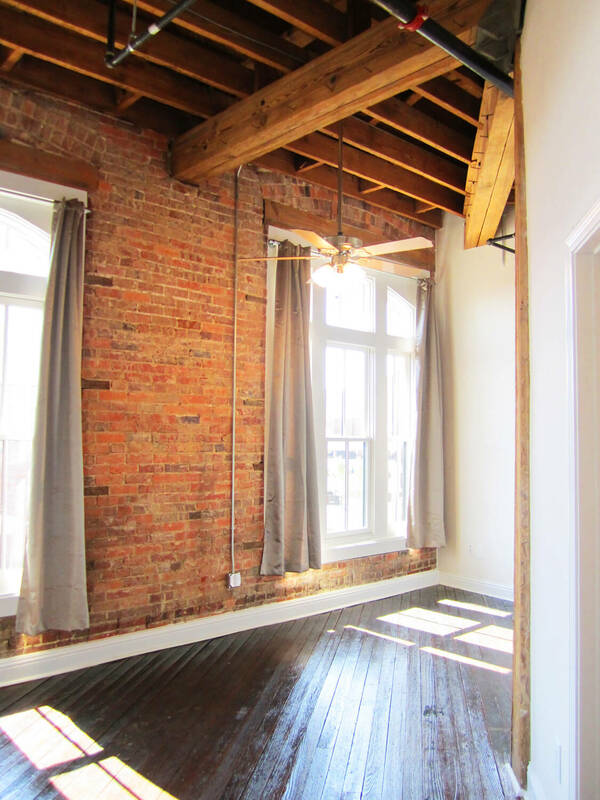 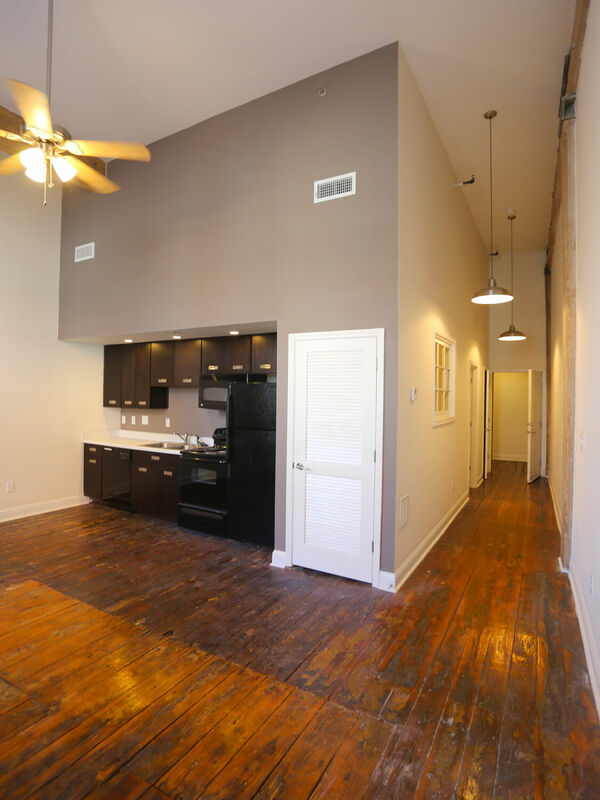 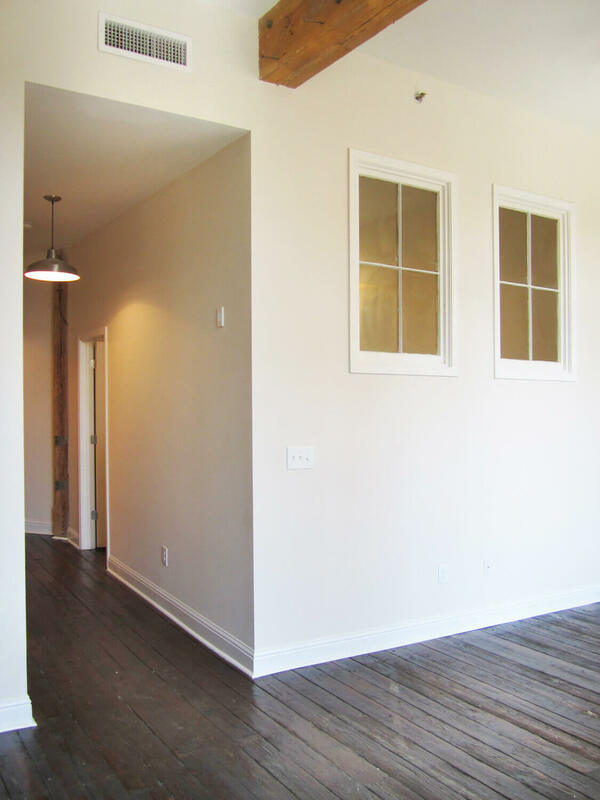 The twenty-one apartments feature large windows, original wood floors, exposed brick, heavy timber construction and tall ceilings. 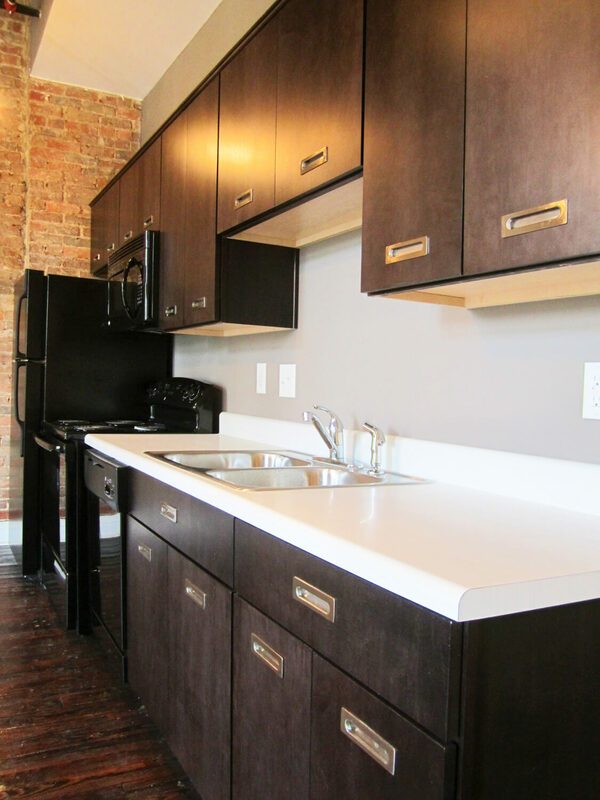 In addition, Kitchens contain black appliances, contemporary dark wood cabinets, and white countertops. 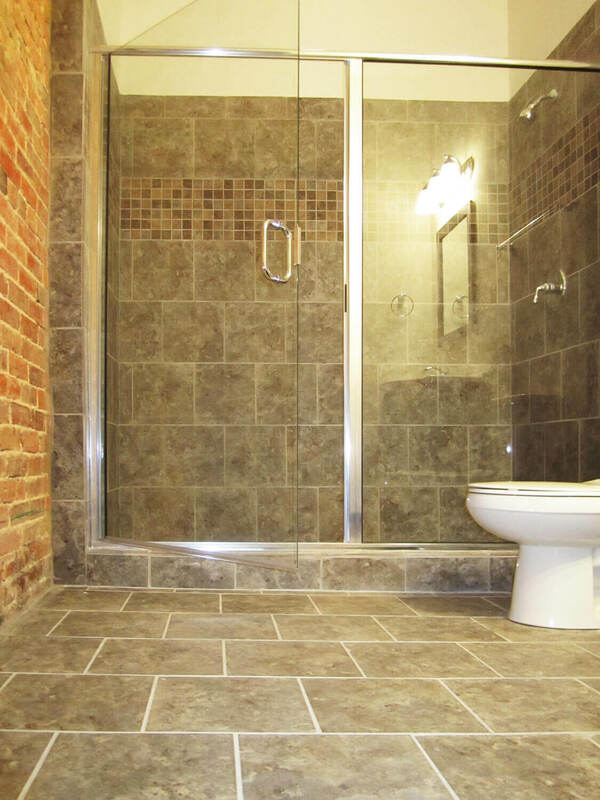 Even more, select units have walk-in tile showers. 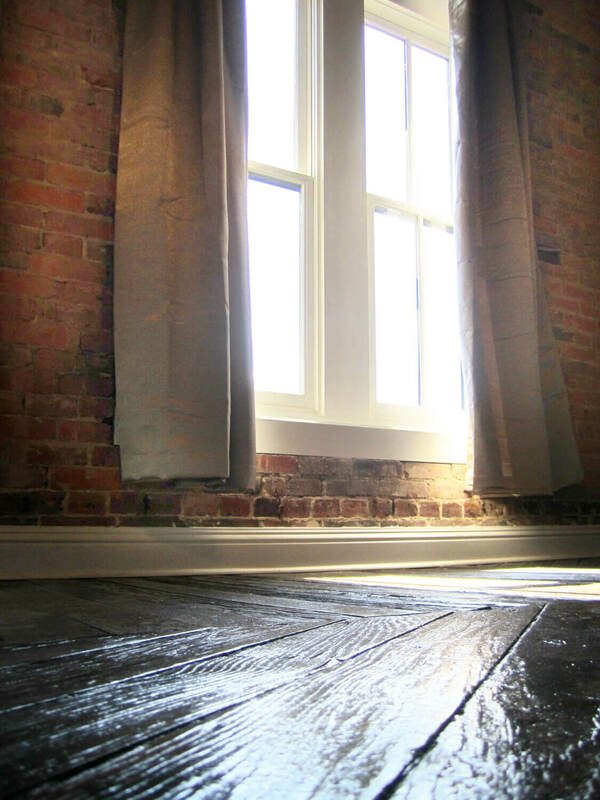 To allow light into some of the interior bedrooms, carpenters framed the original wood windows into the interior bedroom walls. 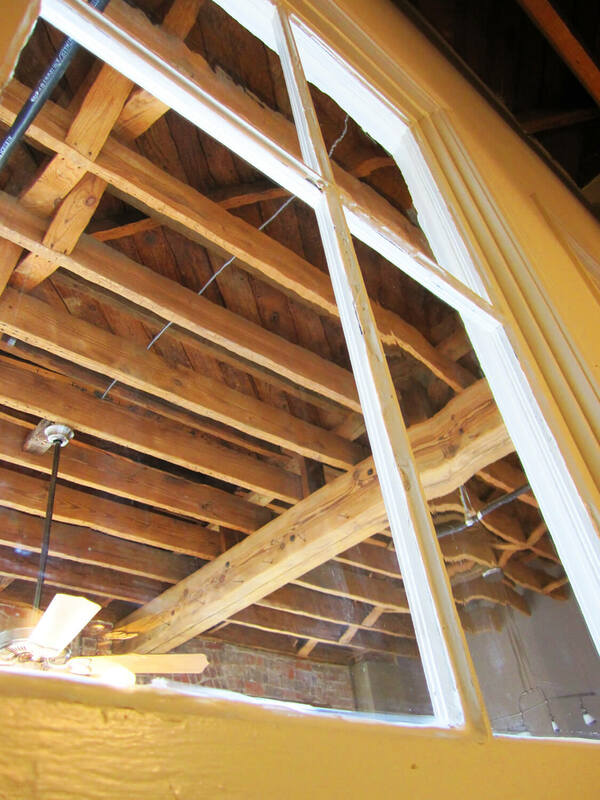 Also, in the common corridors, workers exposed the heavy timber structure. 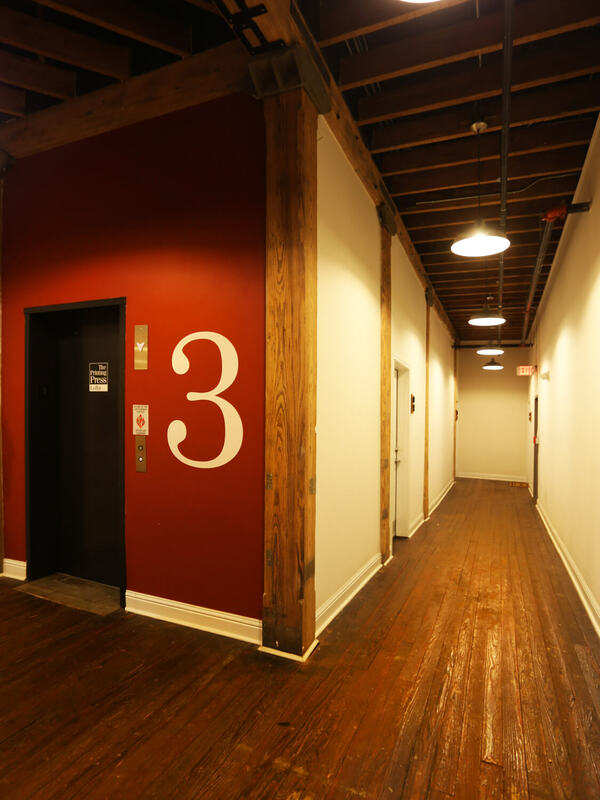 Furthermore, large graphic numbers indicate the floor level at the elevator, and industrial pendants hang down to illuminate the hallways. 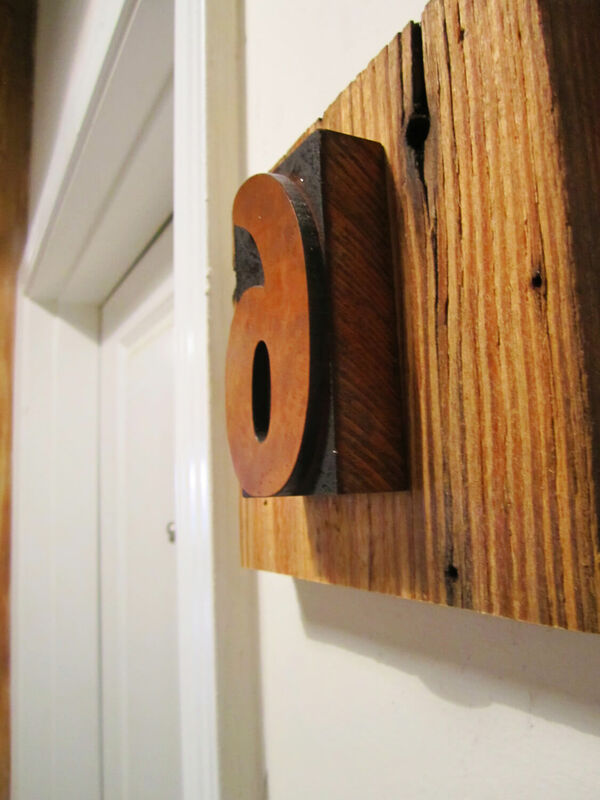 Finally, we mounted vintage printing press blocks to the wall to serve as the apartment numbers.